The Mueller report provides substantial evidence that President Trump violated felony criminal statutes regarding Obstruction of Justice – and the redactions seem to hide even more evidence of Obstruction. Mueller believed that his report showed very substantial evidence of Obstruction of Justice. Mueller declined to opine on whether this evidence established Obstruction of Justice beyond a reasonable doubt. Instead he left it to others to determine whether the evidence of Obstruction of Justice justified further legal proceedings. Read More. On Saturday, Congressman Brad Sherman hosted a Valley Town Hall at Chatsworth Charter High School. A crowd of over 500 people attended the Town Hall to listen to Congressman Sherman answer questions covering airport noise, wildfires and disaster assistance, President Trump and the government shutdown, and Sherman’s Articles of Impeachment. Read More. Today, on the eve of the 25th anniversary of the Northridge Earthquake, Congressman Brad Sherman (D-Sherman Oaks) is reminding residents of the San Fernando Valley and metropolitan Los Angeles about how they can prepare for a future seismic event. Twenty-five years ago, dozens of lives were lost, and thousands were injured by one of the largest earthquakes in our nation’s history. The Northridge Earthquake was also one of the costliest federal disasters, with damages in excess of $20 billion. Read More. California has experienced the worst fires in the state's California’s history. These fires forced hundreds of thousands of people to evacuate their communities, destroyed hundreds of homes, and left many families with nothing. The Woosley Fire started on November 8, 2018, and burned nearly 100,000 acres. The fire has killed two people and destroyed 435 structures. Our recovery is only just beginning. Please know I am committed to working with our local, state and federal officials to ensure that the federal government provides all necessary resources to support our community in this time of recovery. I stand ready to help expedite any support and resources that our communities need to rebuild and repair our homes, businesses, and infrastructure. For assistance with any of the information provided below, please contact my district office in Sherman Oaks at (818) 501-9200. Congressman Brad Sherman (D-CA), the Ranking Member of the Asia Subcommittee, and Congressman Ted Yoho (R-FL), the Chairman of the Asia Subcommittee introduced the Uighur Intervention and Global Humanitarian Unified Response (UIGHUR) Act. The legislation is cosponsored by Congressman Gerry Connolly (D-VA), Congresswoman Ann Wagner (R-MO), and Congressman Jim McGovern (D-MA). Currently, in the Chinese region of Xinjiang, as many as one million Uighurs and other Turkic Muslim minorities are being detained in so-called “political re-education” camps. Meanwhile, Uighurs living outside of China are being harassed and silenced – including here in the United States. Read More. Senators Edward J. Markey (D-Mass.) and Marco Rubio (R-Fla.), members of the Senate Foreign Relations Committee, Congressman Brad Sherman (CA-30), a member of the House Foreign Affairs Committee, and Rep. Luke Messer (IN-06) today introduced legislation that increases Congressional oversight over any civil nuclear cooperation agreement – or 123 agreement – between the United States and Saudi Arabia. Since 2017, there have been reports of negotiations between the Trump administration and Saudi Arabia on a potential 123 agreement, with Energy Secretary Rick Perry recently returning from the region after meeting with leaders about a potential deal. Read More. Today, the U.S. Census Bureau issued a San Fernando Valley Report at the request of Congressman Brad Sherman (D-Sherman Oaks). The more than 1.86 million people who live in the Valley exceed the populations of all but the four largest cities in the United States—New York, Los Angeles, Chicago, and Houston. According to the latest census data, the Valley's population has increased 106,000 (6%) since 2010. The Valley Census Report shows that Valley residents spend, on average, over a half-hour commuting to work, which is nearly 19% longer than the average American. “I will use this to argue that we need more transportation infrastructure in the San Fernando Valley,” Sherman said. “We need a subway through the Sepulveda Pass.” Read More. In the aftermath of the shocking murder of dissident Jamal Khashoggi, Congressman Brad Sherman (D-CA) unveiled the No Nuclear Weapon for Saudi Arabia Act of 2018. This legislation ensures the Trump Administration can’t negotiate a bad deal that would allow the Saudi government to build a nuclear bomb. Read More. Today, Congressman Brad Sherman (D-Sherman Oaks) announced ways that those affected by the Woolsey Fire can begin the process of recovering and rebuilding. Sherman, along with Congresswoman Julia Brownley, and Congressman Ted Lieu, sent a letter to the President urging him to approve the disaster declaration first requested by Governor Jerry Brown and make these funds available to fire survivors. Read More. Today, Congressman Brad Sherman (D-Sherman Oaks) met with officials from the Federal Aviation Administration (FAA) to discuss proposed aviation procedures that will have a direct impact on communities in the San Fernando Valley. Sherman met with Clark Desing, Director of the Western Service Center and Beth White in advance of this week’s two public workshops that will focus on changes to existing departure procedures from Hollywood Burbank Airport. Read More. On the third anniversary of the Aliso Canyon gas leak, Congressman Brad Sherman (D-Sherman Oaks) continues to condemn the decision of the Trump Administration to rescind natural gas storage safety regulations. In August 2018, Sherman sent a letter to Howard Elliott, Administrator of the Pipeline and Hazardous Materials Safety Administration (PHMSA), demanding that federal standards be restored and enforced. Read More. On the 10th anniversary of the Wall Street bailout, Congressman Brad Sherman (D-CA) and Senator Bernie Sanders (I-VT) announced their plan to reintroduce the Too Big to Fail, Too Big to Exist Act, in the House and Senate respectively. Under the legislation, any institution that is too big to fail will be broken up and reorganized to avoid more government bailouts and future risk to the economy. Read More. Today, the House of Representatives passed a major piece of legislation that will reform aspects of the Federal Aviation Administration (FAA). “Here in the San Fernando Valley, residents are concerned about the concentration of flights over our neighborhoods, homes, schools, and public spaces. This bill will require the FAA to consider diverging flight paths and adjusting departure procedure to address community concerns over noise,” said Congressman Brad Sherman (D-Sherman Oaks). Read More. In a precedent-setting move, the U.S. Department of Education has employed the U.S. State Department’s definition of anti-Semitism to enforce Title VI of the Civil Rights Act. This is a milestone in an eight-year effort to protect Jewish college students from anti-Semitism masquerading as legitimate criticism of the Israeli government. Read More. Today, Congressman Brad Sherman (D-Sherman Oaks) announced opposition to the Federal Aviation Administration (FAA)’s proposed changes to flight routes out of Hollywood Burbank Airport that would increase noise over many schools and residential neighborhoods in the San Fernando Valley. Read More. Last week, SoCalGas and local officials reached a $119.5-million settlement in response to the Aliso Canyon gas leak. In contrast, the Trump Administration has failed to take any action to protect American’s health and safety by implementing federal standards for underground natural gas storage facilities. Read More. On Tuesday evening, over 6,000 Valley residents participated in an interactive “Telephone Town Hall” hosted by Congressman Brad Sherman (D-Sherman Oaks). Residents from all over the San Fernando Valley called in and participated in a conversation with Congressman Sherman for over ninety minutes. During this time, the Congressman addressed the questions and concerns of constituents about plastic guns, climate change, the Supreme Court, electoral reforms, and other issues. Read More. Natural gas should be stored in smaller and safer locations so any one of them can be shut down when needed. No major metropolitan area should be reliant on one storage facility. Throughout the crisis, we were told that Aliso Canyon cannot be shut down even temporarily because it’s the only significant facility for all of metro Los Angeles. Yet SoCalGas has done nothing to create alternative facilities. Read More. Today, Congressman Brad Sherman (D-CA), the Ranking Member of the Asia Pacific Subcommittee, released reports highlighting the problem of enforced disappearances in Bangladesh, Pakistan, and Sri Lanka. The reports confirm that enforced disappearances continue to be a significant issue in the region. Read More. Today, Congressman Brad Sherman (D-CA), the Ranking Member of the Asia Pacific Subcommittee, released a report highlighting the problem of enforced disappearances in Pakistan. The report revealed that the Geneva-based International Commission of Jurists (ICJ) estimates that anywhere from 1,250 to more than 18,000 enforced disappearances have occurred in Pakistan since 2009. Read More. Today, Congressman Brad Sherman (D-CA), sent a letter to Secretary of State Mike Pompeo regarding the Trump Administration’s efforts to prioritize the interests of the infant formula industry and its attempt to bully the government of Ecuador. Read More. Today marks the one-year anniversary of the filing of Articles of Impeachment by Congressman Brad Sherman (D-CA). Sherman, joined by Congressman Al Green (D-TX), introduced an Article of Impeachment (H. Res. 438) against President Donald J. Trump for High Crimes and Misdemeanors on July 12, 2017. Congressman Sherman released the following statement. Read More. Today, Congressman Brad Sherman (D-CA) released the following statement after his visit to the Youth for Tomorrow facility in Bristow, VA. The facility houses over 100 immigrant children including about 15 children that were separated from their families at the border: “I was pleased to join Senator Mark Warner (D-VA), Congressman Mike Thompson (D-CA), Congresswoman Doris Matsui (D-CA), and Congressman Jimmy Panetta (D-CA) during a briefing and tour of Youth for Tomorrow with facility staff, and staff from the Department of Health and Human Services (HHS). Read More. Congressman Sherman released this statement after the Supreme Court handed down a 5-4 decision in the case of Janus v. AFSCME Council 31: “In today’s decision in the case of Janus v. AFSCME Council 31, President Trump’s Supreme Court overturned decades of American jurisprudence regarding the right to organize and collectively bargain for higher wages and better working conditions. Read More. Congressman Brad Sherman (D-CA), a senior member of the House Foreign Affairs Committee and Ranking Member of the Asia Pacific Subcommittee, issued this statement after President Trump concluded a summit with Kim Jong-un in Singapore: “As could be expected, Trump and Kim signed a statement vague on details. In fact, it is almost devoid of details, such as timetables or concrete commitments, and the structure for future talks is not laid out with any specificity. Kim gets equal status at a meeting with the U.S. president, and we get vague platitudes about denuclearization. What has Kim really promised? Where’s the beef? Read More. Congressman Brad Sherman (D-CA), who worked with former U.S. Senator Barbara Boxer and others in securing federal funds for the new northbound lane on the 405, issued the following statement on the four-year anniversary of the opening of the new lane: “The success of this project is clearer than ever. With the growing population in Los Angeles and low unemployment, there are now more cars on the road than ever before. If we hadn’t built the lane, travel through the Sepulveda Pass would be far worse. Read More. Congressman Brad Sherman (D-CA), a senior member of the House Foreign Affairs Committee, and Congresswoman Ileana Ros-Lehtinen (R-FL), Chairwoman of the House Foreign Affairs Subcommittee on Middle East and North Africa, sent a letter to President Donald Trump. The letter urges President Trump to enforce a critical sanctions statute against companies that sell to Iran technology it needs to censor dissidents, disrupt protesters, and restrict the free flow of information. Read More. 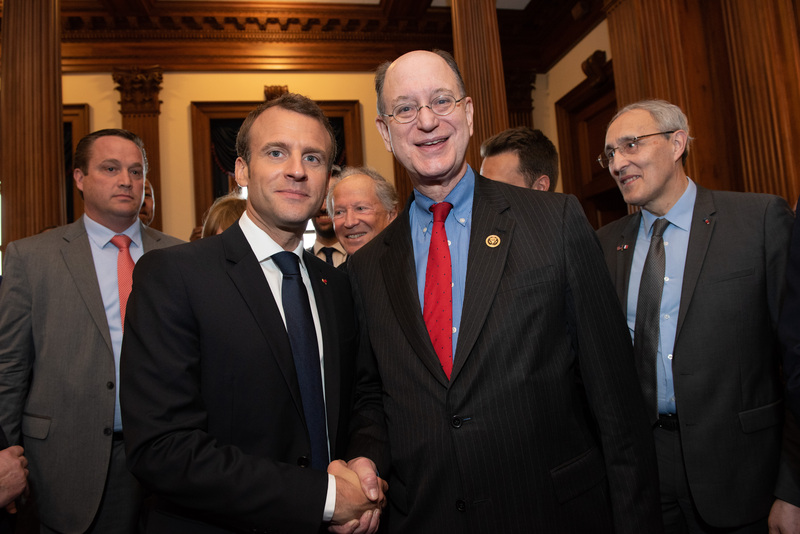 Congressman Brad Sherman (D-Sherman Oaks), senior member of the House Foreign Affairs Committee, released the following statement in response to today’s Joint Congressional Address by French President Emmanuel Macron: “Today, President Emmanuel Macron delivered an excellent statement. Macron’s tough emphasis on protecting the environment was welcomed. As Macron stated, ‘there’s no planet B.’” Read More. Today, Congressman Brad Sherman received the Humane Champion Award from the Humane Society of the United States. This is Congressman Sherman’s 11th consecutive award from the Humane Society. Read More. Today, Congressman Brad Sherman (D-Sherman Oaks) applauded the passage of government funding legislation that includes the FY 2018 Energy and Water Appropriations Bill. Sherman led the successful effort to secure $6 million in funding for two U.S.-Israel energy cooperation programs. Read More. Today Representatives Ileana Ros-Lehtinen (R-FL), Chairman of the Subcommittee on the Middle East and North Africa, and Brad Sherman (D-CA), Ranking Member of the Subcommittee on Asia and the Pacific, were joined by Ted Poe (R-TX) and William Keating (D-MA), the respective Chairman and Ranking Member of the Subcommittee on Terrorism, Nonproliferation, and Trade in introducing HR 5357, the Nuclear Cooperation Reform Act of 2018. Read More. U.S. Representative Brad Sherman (D-Sherman Oaks), the Ranking Member of the House Foreign Affairs Asia Pacific Subcommittee, applauded the enactment of H.R. 535, the Taiwan Travel Act. Sherman introduced the legislation last January with U.S. Representative Steve Chabot (R-Ohio) and House Foreign Affairs Committee Chairman Ed Royce (R-California). Read More. 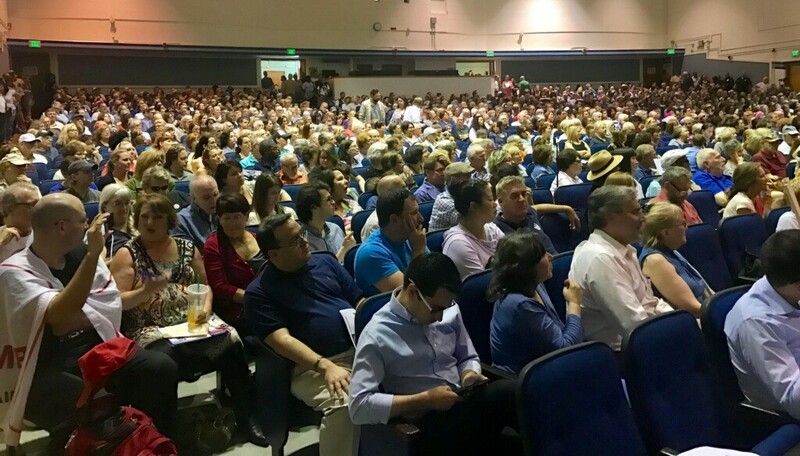 On Wednesday evening, nearly 5,000 Valley residents participated in an interactive “Telephone Town Hall” hosted by Congressman Brad Sherman (D-Sherman Oaks). Residents from all over the San Fernando Valley called in and participated in a conversation with Congressman Sherman for over ninety minutes. During this time, the Congressman addressed the questions and concerns of constituents about gun control, the Republican tax plan, trade, electoral reforms, and other issues. Read More. On Sunday, Congressman Brad Sherman hosted a Valley Town Hall at Reseda High School via Skype. Due to the government shutdown, Congressman Sherman was unable to attend the town hall in person but joined via Skype from his office in Washington, D.C. Read More. The epidemic of gun violence continues to grip the nation. From the concert shooting on the Las Vegas strip, the deadliest mass shooting in our nation’s history, to the horrific scene at a high school in Florida where seventeen people were killed by a gunman, this past year saw citizens across the country continue to grapple with the realities of gun violence. Read More. Today, on the eve of the 24th anniversary of the Northridge Earthquake, Congressman Brad Sherman (D-Sherman Oaks) is reminding residents of the San Fernando Valley and metropolitan Los Angeles about how they can prepare for a future seismic event. Read More. On the second anniversary of the Aliso Canyon gas leak, Congressman Brad Sherman (D-Sherman Oaks) condemned the decision of the Trump Administration to withdrawal natural gas storage safety regulations. He sent a letter demanding that the regulations be restored and enforced. Read More. Following the release of an independent health study by Dr. Jeffrey Nordella, which concluded that Porter Ranch residents have uranium, lithium, and other chemicals in their bodies, Congressman Brad Sherman (D-Sherman Oaks) is calling for a comprehensive, independent, long-term health study on the impact of toxin exposures from the Aliso Canyon well blowout. Read More. I was the first Member of Congress of either party to urge the rejection of the Iran deal, speaking on the House Floor hours after it was published. But if the U.S. renounces the deal, Iran keeps the roughly $100 billion they got last year, while being freed from the restraints imposed by the agreement. Our goal should be to enforce and extend the nuclear deal. Read More. On July 12, Congressman Brad Sherman (D-Sherman Oaks) filed Articles of Impeachment against Donald J. Trump for High Crimes and Misdemeanors. Read More. Today, Congressman Brad Sherman (D-Sherman Oaks) announced his intention, along with Senator Elizabeth Warren (D-Massachusetts), to introduce legislation to eliminate so-called ‘right-to-work’ laws. Sherman has introduced this legislation in the past five Congresses. In the 114th Congress, Sherman introduced the bill in July 2016 with 48 House cosponsors. Read More. Today’s announcement that the President will turn his back on DREAMers by ending DACA, essentially deporting nearly 800,000 young men and women who are American in every way, will undermine economic growth, bring fear to our communities, and tear families apart. Read More. 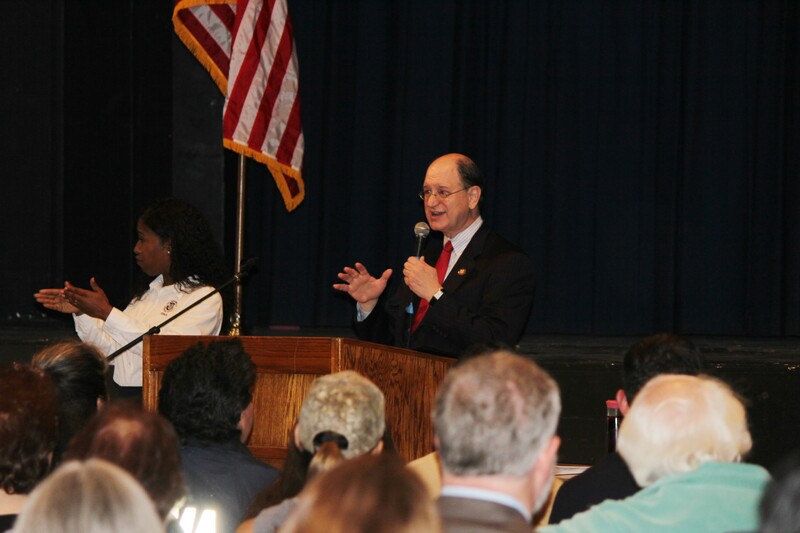 On Sunday, Congressman Brad Sherman hosted a Valley Town Hall at Reseda High School. A crowd of nearly 800 people was in attendance at the Valley’s largest High School auditorium to listen to Sherman answer questions covering health care, social security, foreign policy, and many questions surrounding President Donald Trump and Sherman’s Articles of Impeachment. Read More. Today, Congressmen Brad Sherman (D-CA) and Peter King (R-NY) introduced a bipartisan House Resolution expressing support for the home mortgage interest and property tax deductions. 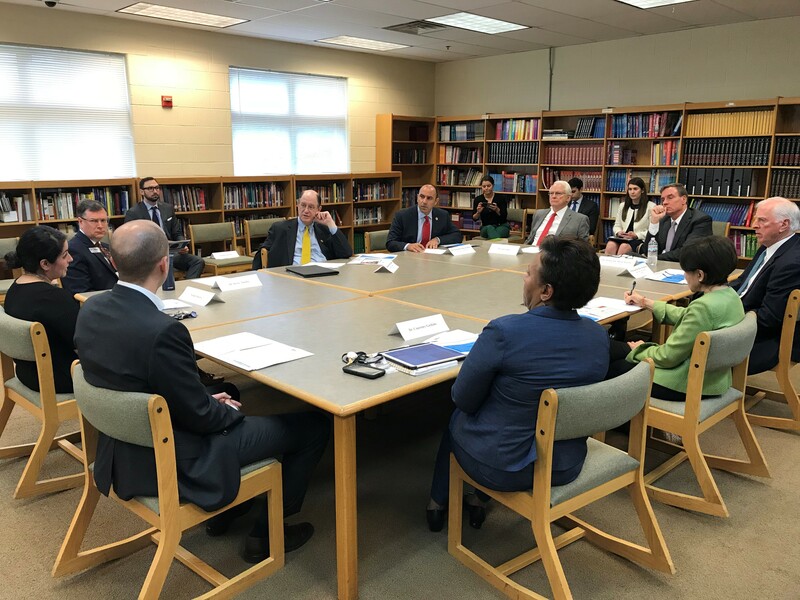 Reps. Sherman and King were joined by Representatives Nanette Barragan (D-CA), Paul Cook (R-CA), Dan Donovan (R-NY), Sheila Jackson-Lee (D-TX), Gregory Meeks (D-NY), Carol Shea-Porter (D-NH), Eric Swalwell (D-CA), and Dina Titus (D-NV). Read More. Today, Congressman Brad Sherman, CPA, senior member of the Financial Services Committee, and former Chair of the nation’s second largest tax agency introduced the Tax Filing Simplification Act of 2017 with Representatives Don Beyer (D-VA), Grace Napolitano (D-NY), Eleanor Holmes Norton (D-DC), Jamie Raskin (D-MD), Tim Ryan (D-OH), and Tom Suozzi (D-NY). The bill is based on legislation introduced in the U.S. Senate by Senator Elizabeth Warren (D-MA). Read More. On July 21 during Friday prayers, Imam Ammar Shahin, delivered a sermon at the Islamic Center of Davis, CA where he prayed to Allah to "liberate the Al-Aqsa Mosque from the filth of the Jews" and to "annihilate them down to the very last one." Congressman Sherman released the following statement in response. Read More. Congressman Brad Sherman released the following statement following the announcement by the California’s Department of Conservation that SoCalGas can resume injections of natural gas into the Aliso Canyon Storage Facility. Read More. The House Appropriations Committee approved the FY 2018 Energy and Water Appropriations Bill that includes $2 million in funding for the U.S.-Israel Energy Cooperative Agreement and $4 million in funding for the development of the U.S.-Israel Energy Center. Read More. Today, Congressman Brad Sherman (D-Sherman Oaks) sent a letter to the Department of Conservation (DOC) advocating for improvements to the Division of Oil, Gas, and Geothermal Resources (DOGGR)’s proposed regulations of natural gas storage facilities in California. Read More. Today, Congressman Brad Sherman (D-CA), joined by Congressman Al Green (D-TX), introduced an Article of Impeachment (H. Res. 438) against President Donald J. Trump for High Crimes and Misdemeanors. The Article is based on Article 1, dealing with “Obstruction of Justice,” which was passed by the Judiciary Committee on a bipartisan vote on July 27, 1974, regarding Richard M. Nixon. Sherman circulated a draft Article on June 12, 2017, and has been conferring with colleagues and legal experts from around the country since then. Read More. Today, the Consumer Financial Protection Bureau (CFPB) announced that financial institutions, such as Wells Fargo, will no longer be allowed to force consumers to use arbitration to settle group disputes. Currently, banks and credit card companies insert arbitration clauses in their contracts to prevent customers from filing class-action lawsuits in the case of wrongdoing. This practice often discourages consumers from filing lawsuits because of the necessary expense of time, money, and effort. Read More. On Thursday evening, over 5,000 Valley residents participated in an interactive “Telephone Town Hall” hosted by Congressman Brad Sherman (D-Sherman Oaks). Read More. Today Congressman Brad Sherman, a twenty-year veteran of the House, circulated an Article of Impeachment to all Members of the House, Democrat and Republican, seeking their input and support. Read More. On January 26, Donald Trump learned that his National Security Advisor, Former General Michael Flynn, had indeed talked to the Russian Ambassador about sanctions against Russia. Since Flynn had previously lied about these conversations to the administration and the American people, Russia could have blackmailed him by threatening to publish the transcripts or tapes of the phone calls. Read More. An overflow crowd of over 1,300 people was in attendance at the Valley’s largest High School auditorium to listen to Sherman answer questions covering health care, social security, foreign policy, and many questions surrounding President Donald Trump. Read More. As taxpayers rushed to file last-minute returns by tonight’s midnight deadline, Congressman Brad Sherman is helping Californians uncover over $250 million in old refunds that are just waiting to be delivered to over 97,000 Californians. Nationwide there’s an estimated $3 billion in unclaimed refunds for the 2013 to 2015 tax years. Three individuals each stand to receive more than $150,000. Read More. Congressman Brad Sherman, a senior Member of the House Foreign Affairs Committee released the following statement in response to Syrian chemical attack on Khan Shaykhun and the American response on Shayrat Air Base: “We should have three goals in Syria: Protect the Syrian people, Destroy ISIS, Preserve the Chemical Weapons Convention that bans poison gas and chemical weapons. All while limiting the risks of U.S. causalities or a wider war with Russia. Read More. Today, Congressman Brad Sherman, a senior member of the Financial Services Committee, joined Congressman Ed Royce (R-CA) in introducing legislation to increase transparency for homeowners who take out loans to make environmentally-focused home improvements. Read More. Today, the Congressional Budget Office released its report on the House Republicans’ health care plan. Congressman Brad Sherman released the following statement in response to the report. Read More. "Jeff Sessions should never have been confirmed, and for so many reasons he should resign immediately." With the ongoing uncertainty over immigration laws in our country, I and my staff are here to help with any questions you may have regarding documentation and the current laws. Read More. Congressman Brad Sherman, who lives about as close as anyone to the Porter Ranch gas leak site, issued the following statement following the announcement of the Aliso Canyon gas leak settlement. Read More. Tonight, the Department of Conservation’s Division of Oil, Gas, and Geothermal Resources (DOGGR) will hold a public meeting regarding the well safety review at the Aliso Canyon Natural Gas Storage Facility. Below is Congressman Brad Sherman’s statement prepared for delivery. Read More. Congressman Brad Sherman released the following statement regarding President Donald Trump’s controversial travel ban that was signed on January 27, 2017: The President’s executive order on travel and the refugee program is largely unconstitutional, immoral, and is ineffective. Today, Congressman Brad Sherman, the second-ranking Democrat on the House Foreign Affairs Committee and senior member of the House Financial Services Committee, announced new Foreign Affairs Subcommittee roles for the 115th Congress. Read More. Following this morning’s classified bipartisan briefing on Russian interference in U.S. Elections, Congressman Brad Sherman sent a letter to Attorney General Loretta E. Lynch requesting the appointment of a Special Counsel on interference with the U.S. democratic process. Read More. In a letter sent to President Barack Obama, Congressman Brad Sherman, a senior Member of the House Foreign Affairs Committee, requested a classified briefing for all members of the U.S. House Representatives at the start of the 115th Congress on Russian hacking, selective email leaks, falsified media reports, and other activities that affected the 2016 U.S. election. Read More. Following through on a promise made by President Barack Obama to Congressman Brad Sherman last January, PHMSA, the relevant federal agency, issued a proposed Interim Final Regulation which will become binding on the industry before January 20, 2017. Read More. Congressman Brad Sherman (D- Sherman Oaks) and Senator Sherrod Brown (D-Ohio) introduced the Justice for Victims of Fraud Act of 2016. The bill will close a Wells Fargo forced arbitration loophole by preventing Wells Fargo from applying its mandatory arbitration clauses to the millions of fake accounts created without customer consent. Read More. Congressman Brad Sherman issued a statement after SoCalGas announced it completed testing or sealing all 114 wells and has requested authorization from the State of California to resume injections in the underground gas storage facility at Aliso Canyon. Read More. The Pipeline and Hazardous Safety Materials Administration (PHMSA) will be moving forward with federal regulations for natural gas storage based on the Task Force’s recommendations. Sherman issued a statement after the Interagency Aliso Canyon Task Force on Natural Gas Safety unveiled its official recommendations. Read More. Congressman Brad Sherman (D-Sherman Oaks) along with the National Parks Service and several elected officials, including former Governor Arnold Schwarzenegger, celebrated the completion of the 67-mile backbone trail which traverses the Santa Monica Mountains. Read More. The Southern California Gas Company (SoCalGas) defied a directive from the L.A. County Department of Public Health by announcing that SoCalGas will not clean homes of residents affected by the natural gas leak in Porter Ranch. Read More. On Sunday, April 3rd, 2016, Congressman Brad Sherman hosted a town hall meeting at Granada Hills Charter High School, fielding questions from some of the approximately 500 constituents who attended. Congressman Sherman gave an update on the recently capped gas leak in Porter Ranch, including details of how his office can help families and businesses affected by the leak. Read More. Sherman Oaks – Congressman Sherman (D-CA), who lives in the Porter Ranch community (site of the largest natural gas leak in history), announced that 17 members of Congress now support his Gas Storage Safety Act. Read More. You may be eligible for: air purification and weatherization, relocation and expense reimbursement, school transportation, or claims for harm or injury as a result of this incident. Businesses affected by the leak may be eligible for SBA loans. Read More. Congressman Sherman (D-CA), who lives in the Porter Ranch community (site of the largest natural gas leak in history), will introduce the Natural Gas Storage Safety Act, legislation designed to prevent future gas leaks. Read More. Over nine thousand Valley residents participated in an interactive “Telephone Town Hall” hosted by Congressman Brad Sherman. The Congressman addressed constituents’ questions and concerns on a wide variety of topics, including the Porter Ranch gas leak, domestic terrorism, combating ISIS, U.S. foreign policy in Syria and the Middle East, the Iran nuclear negotiations, healthcare, and the environment. Read More. Congressman Brad Sherman (D-Sherman Oaks) commended Governor Jerry Brown’s decision to declare a state of emergency regarding the leaking gas well at Southern California Gas Co.’s (“SoCalGas”) storage facility above Porter Ranch. Congressman Sherman’s staff informally urged Governor Brown’s office to help persuade Governor Brown to make this decision last week, and sent a formal detailed letter earlier today. Read More. House Passes Posey-Sherman "Policyholder Protection Act"
The Policyholder Protection Act introduced by Congressman Bill Posey (R-FL) and Congressman Brad Sherman (D-CA) passed the House. Read More. Washington DC – Following news of an agreement on the Trans-Pacific Partnership, Congressman Brad Sherman (D-CA) a senior member of the House Foreign Affairs Committee and former chairman of the Subcommittee on Trade, released the following statement:“If our previous free trade deals are any indication of what we can expect from the TPP, American workers are in serious trouble..." Read More. Congressman Sherman delivered a speech concerning his views on the Joint Comprehensive Plan of Action on Iran’s nuclear program at a Valley Beth Shalom, a synagogue in the San Fernando Valley. Read More. Congressman Brad Sherman (D-CA), the second ranking Democrat on the House Foreign Affairs Committee and senior member of the House Financial Services Committee, announced new Subcommittee roles for the 114th Congress. In the House Foreign Affairs Committee, Sherman will serve as the ranking member on the Subcommittee on Asia, and will continue to serve on the Subcommittee on Terrorism, Nonproliferation and Trade, as the Chairman Emeritus (former Chairman). Read More. Due to the work of Congressman Sherman and others, the U.S. Department of Education issued guidance to American universities indicating that they had an obligation to protect students from anti-Semitism. Read More. https://www.FannieMae.com/loanlookup/ or httpss://ww3.FreddieMac.com/corporate/, or calling 1-800-7FANNIE or 1-800-FREDDIE.